Alayna and I were invited to attend a baptism for one of her friends. It was a long drive up north to get to the little church where the baptism was held, but it was fun to spend some time together with just the two of us. On the way home, we stopped at a little cupcake shop called “Sugar Monkey.” Oh. my. goodness! These cupcakes were delicious! 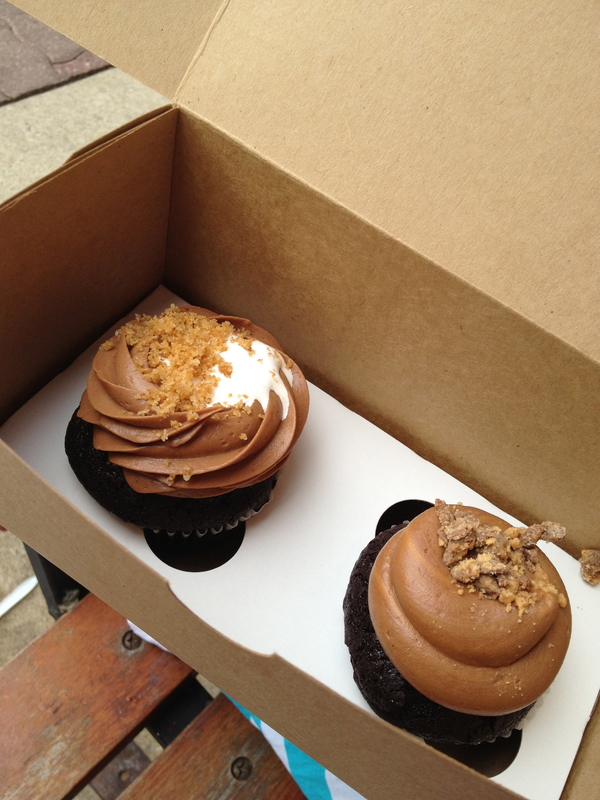 We shared a peanut butter cup cupcake and a s’mores cupcake. 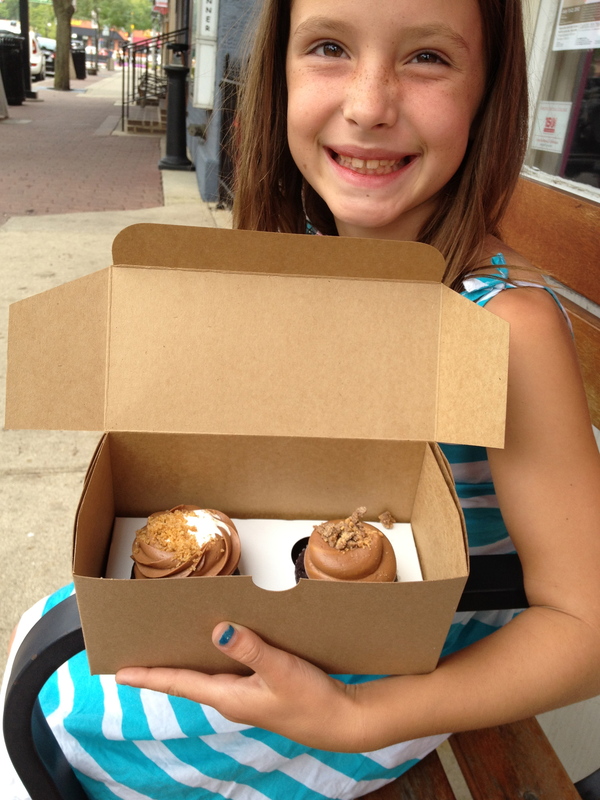 You know they were rich when my little Sugar Monkey and her Sugar Monkey Mama couldn’t even finish one whole cupcake! We had a great time together and can’t wait to go back!